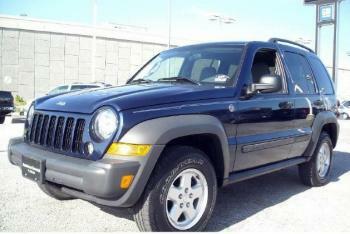 I like to think of myself as a tough girl, but nevertheless during my vehicle search I landed on a Jeep Liberty. I think it's the softer lines of the Liberty that make it attractive to girls, plus you don't see a lot of Liberty's with monster lifts and tires and other "macho" upgrades a lot of guys like to add to their Jeeps. So maybe people just don't associate the Liberty with that type of Jeep. Dunno, just a thought. Larry's Comment: Good observation Mara. All I know is that I see a lot of ladies cruising in the KJ Liberty.